After a few days I have had at last some free time to review the new LEGO Mindstorms EV3 and compare it against the Mindstorms NXT 2.0 Set. So, let me show first what we have on this set. 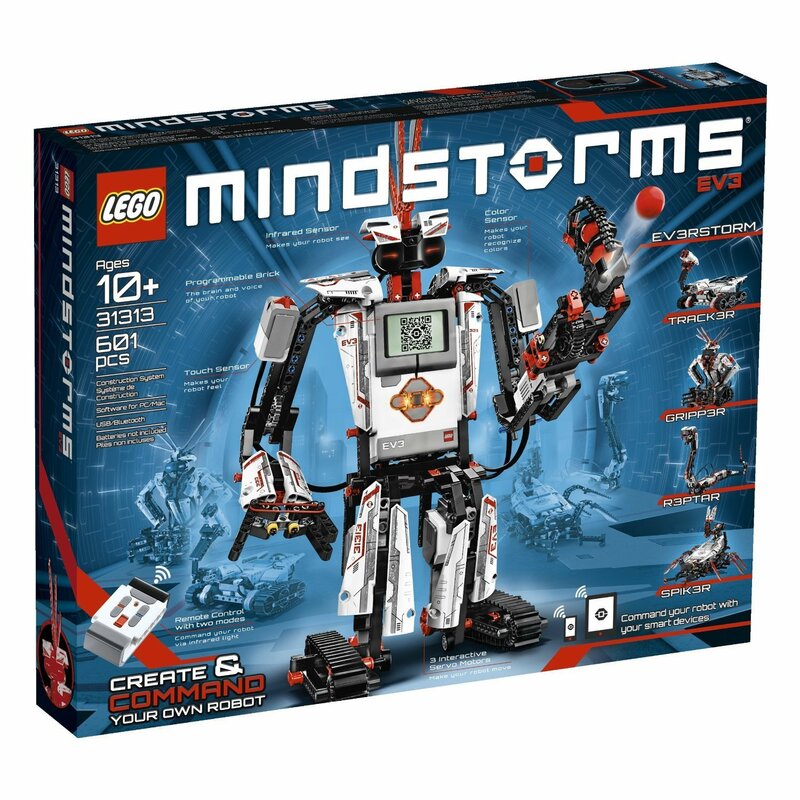 As you know, LEGO Mindstorms is the range of LEGO creations that allow you to build robots and machines that can be programmed using either the graphical software supplied by LEGO or any of the mainstream languages like C or Java if you use community tools. 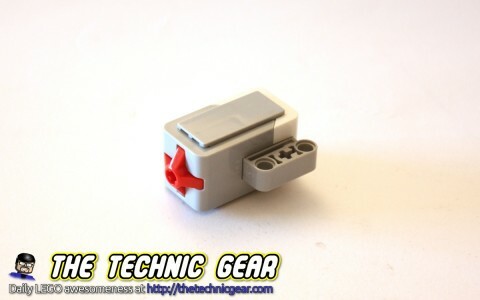 The whole idea behind Mindstorms is that there is a set of sensors that input info into a small computer, name the Brick, that can output orders to motors, so if you join the incredible flexibility of LEGO Technic system to this sensor-computer-motors the possibilities are truly endless. These are the contents of the LEGO Mindstorms EV3 ( by the way, you can get it at Amazon right now ) … just don’t think too much about the fact that you ( or I ) have just spend £300 on it. 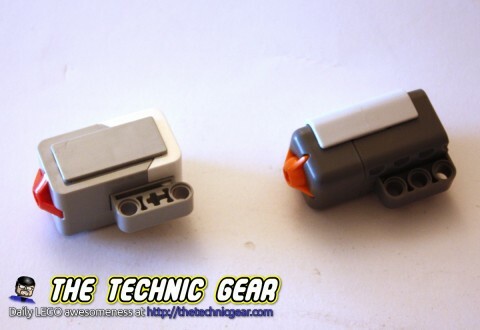 The real “bargain” on this set is the sensors, motors and of course the brick, but if you plan to build something different you will need more parts from other LEGO Technic sets. This is perhaps the biggest change of the set. The new Mindstorms EV3 Brick as a ARM9 microprocessor running at 300Mhz with 16MB of Flash memory and 64MB of RAM. This is 1000 times more memory than the old NXT Brick and almost seven times faster CPU clock. But perhaps the most exciting feature is that the EV3 Brick is linux based, so you are free to grab the source and hack it. You can expect to see lots of great features coming through this way. Also it is worth mention the fact that the new EV3 Brick has four motor ports, one microSD card, one USB port as well as a better screen that reach 178×128 pixels ( well, it is not an iPad but it is two times the resolution of the old NXT Brick ). Surprisingly ( or not ) the Education and Home versions has a different set of sensors. The new Color sensor has the ability to identify seven color and the no color option at a rate of 1KHz. 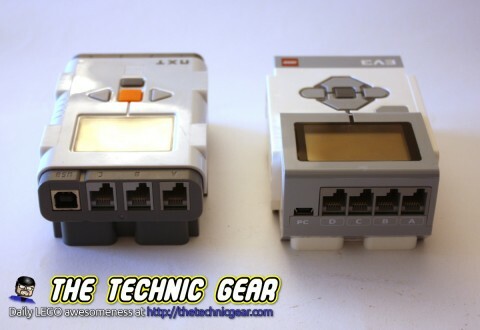 The Mindstorms EV3 has only one touch sensor and it is pretty similar to the old one. 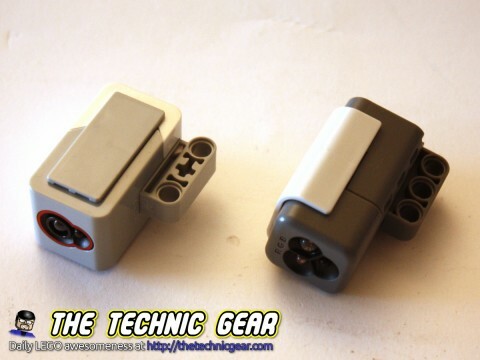 Personally I think that one more sensor would be a welcome addition but it looks like LEGO decided to dump it for a IR transmitter. 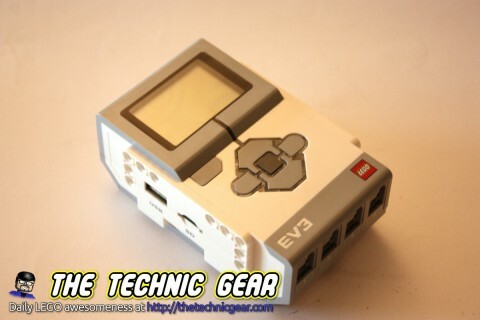 One of the star additions of the Home edition of the EV3. This little controller is very similar to the Power Function IR Controller and compatible in fact with all the IR range of Power Functions elements. 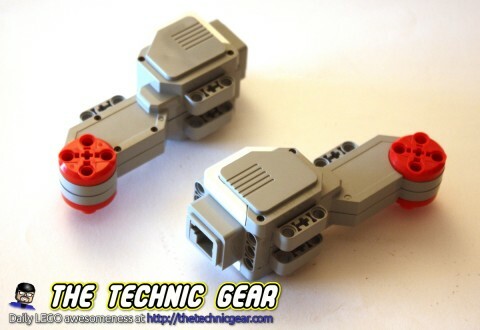 You can make the brick run a little program so that you can operate your robot ( any robot ) using the little controller. 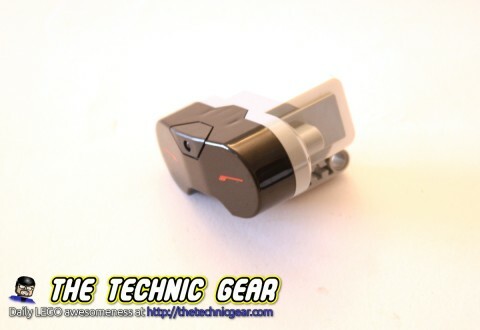 This sensor detects obstacles much like the old Ultrasonic sensor but with a smaller range, as well as receiving signal from the Remote Control as a way of fast building a functional robot. This is the new motor introduced in the Mindstorms EV3 and it is capable of 250rpm with a running torque of 8N/cm. As with the previous NXT-2.0 Motors, the M-motor has a precision of 1 degree. It is face-lift of the old familiar NXT-2.0. Running at 160rpm and capable of 20N/cm. 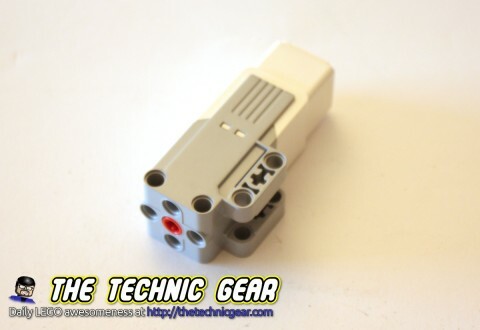 This is perhaps one of the most interesting part of the whole EV3 Set because the modifications that it has suffered undergone make it an extremely versatile motor that it is much easier to place into our robots now. Is the Mindstorms EV3 an interesting buying option? 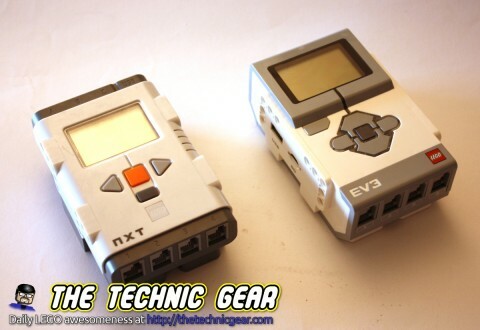 Should I buy EV3 if I already has Mindstorms NXT-2.0? Let me help you decide about it. 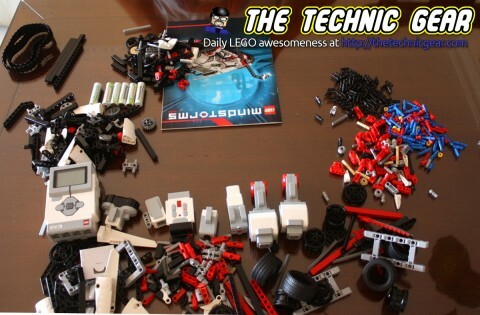 This is the hugest difference between both Mindstorms sets. 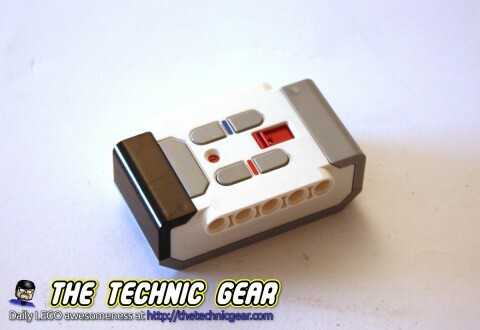 Personally, being myself a computer developer, I found fascinating what great creations has people done using such a simple computer as the Mindstorms NXT 2.0 brick… but the EV3, oh! That’s a different beast. You will not be rendering FullHD video with this one but it is a real computer running a Linux operating system with 64MB of memory. You can do LOTS of things with so much power. 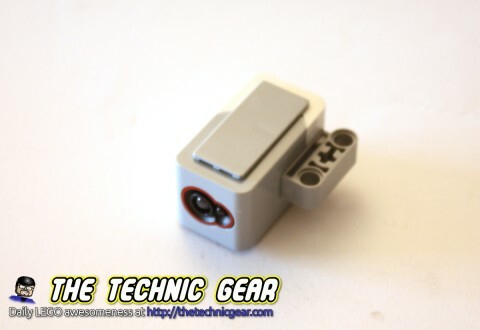 Another important change on the new EV3 is that the brick now has four motor ports ( why don’t put four motors on the set so?! ). As you can see the new motor has a cross hole that make simpler to attach gear trains or simply to attach the motor to the robot. In fact it is quite fast and easy to build a basic bare-bone for a robot like Tracker. The old NXT-2.0 has a three color LED lights that allowed the sensor to show colored lights. It looks like this feature has been lost in EV3. So the short answer is yes, all NXT 2.0 Sensors and motors can be used on the new Mindstorms EV3. 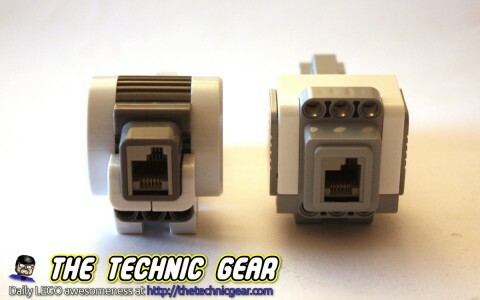 Also EV3 Motors can be used on the old NXT brick but EV3 sensors can’t. There is also a problem with the rechargeable battery that it is incompatible between EV3 and NXT-2.0, but really it isn’t problem for me as I use 6 AA rechargeable batteries. 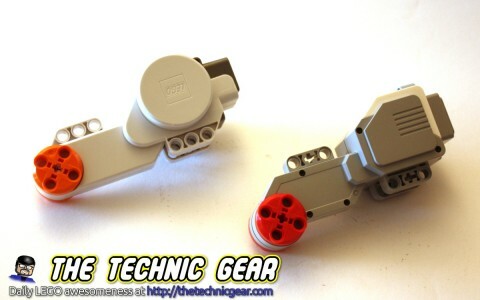 To illustrate the new EV3 I will build the first ( and only printed ) robot proposed by LEGO called Tracker. Ok, forget for a minute that it cost £300 ( A bit less in Amazon). If you get this box, as it is, and you open it, follow the instructions and build the robot you will be severely disappointed. I can’t understand why LEGO didn’t include something like a printed guide to enlighten you about the possibilities of this set, also for a newcomer it is quite easy to ignore the fact that the robot should be programmed using a a software that you MUST download from the Internet. But, in the other hand, if you, like me, has watched some videos about what great people has achieved with the NXT 2.0 and you can do some basic maths, just imagine what kind of packed awesomeness you have in front of you. I am really looking forward to build something serious with this baby. 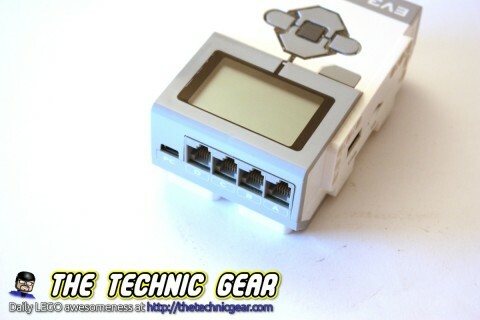 So, it still has 4 sensor ports, but only comes with 3 sensors. And they still didn’t add more info in the manual! And why give you only 3 motors? It’s expensive enough to buy the set! I completely agree with you. Personally I miss one extra touch sensor… and I want to test how well the IR sensor performs compared with the Ultrasonic sensor. So you have 4 sensor and motor ports, but they only give you 3 sensors and 3 motors. And they still don’t give much info in the manual? You may want to reword this slightly – “suffered” -> “undergone”. The motor has improved a lot with these changes really.